These are the initial moves where both the sides have an equal opportunities of hitting the right moves and take a lead in the progress of the game. The game becomes more crucial for Fischer at the initial stage itself and he takes some steps to safeguard his king immediately. Byrne takes control of the center and Fischer now starts taking the right and definite moves which correctly refutes his opponent's plan. 11...Na4! 12.Qa3 Nxc3 13.bxc3 Nxe4 14.Bxe7 Qb6 15.Bc4 Nxc3 16.Bc5 Rfe8+ 17.Kf1 Be6! Offering the sacrifice of his queen! Fischer starts to take the lead in the game through a series of discovered checks and makes the opponent move in critical positions. The queen takes a pawn but is now badly positioned. Fischer takes advantage in masterful fashion. Fischer takes full control of the game and finishes in style. 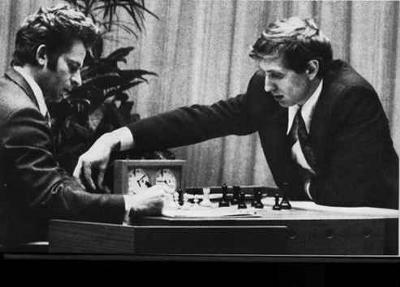 Play through this brilliancy for the full experience of the great Bobby Fischer at his finest.